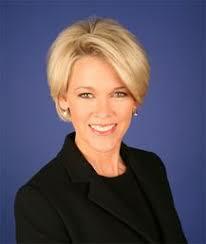 Heather Unruh is a four-time EMMY award winning Journalist with 27 years of broadcasting experience. Her accomplishments include multiple Edward R. Murrow Awards, the American Cancer Society's Sword of Hope Award, the Clarion Award from Women in Communications, and the top national recognition from the American Women in Radio and Television, the "Grand Gracie," for excellence in reporting. In her 15 years with WCVB she anchored breaking news coverage for nearly every major event from the Boston Marathon Bombing and Watertown Capture, to the conviction of Boston Mobster James Whitey Bulger, the Papal Conclave in Rome and every Boston sports championship since 2001. In November 2017, Unruh made national headlines with her press conference announcing her son's allegation of sexual assault against actor Kevin Spacey. Join us on March 12th to learn more about this Award Willing Journalist, Aspiring Filmmaker, Animal Lover, Family Gal, and Human Rights Advocate! Event Cancellation Policy: The Chamber's policy is to generally require payment in advance for admission to all Chamber events due to commitments to our vendors for these events. Event fee is refundable only if a cancellation notice is received by the Corridor 9/495 Regional Chamber 48 hours in advance of the event date. No shows will be invoiced and responsible for full payment.